Look out, Smoky Mountains! Little goblins, witches and pop culture references are about to overtake our hallowed hills. Gatlinburg, Pigeon Forge and Sevierville offer a variety of exciting events to celebrate the spookiest of holidays. Ripley’s Fright Nights are sure to scare the Halloween spirit into you! You can be frightened Friday, Saturday, and Sundays in October for only $13.99 (adult price). Be sure to leave the kiddos with a sitter: children under six years old aren’t allowed. Shows begin at 6 p.m. and continue until close. Stop by traffic light #8 in Gatlinburg to experience the creepy side of fall, complete with live actors popping out of hidden nooks and crannies in a specially, scarily renovated mansion. If you’re looking for a more theatrical frightening experience, check out the Iris Theater below the Space Needle for Shocktober. Shocktober is ongoing through Halloween. 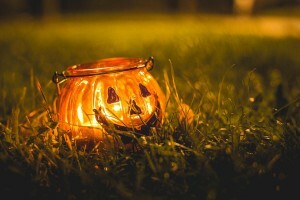 The live shows and activities include a haunted table from an English castle, a look at Hitchcock’s 50’s thrillers, and a special on Harry Houdini—who spookily died on Halloween in 1926. Keith Fields will delight and amaze with a horror magic show. If you’re looking for an interactive super-spooky Halloween experience, check out The Captured, also at the base of the Space Needle. The Captured is an escape game. You’ve been captured by a cannibalistic family, and have to put your skills and smarts to the test to try and escape. For a tamer experience, attend the Smoky Mountain Storyteller’s production of Sweet Fanny Adams Spooky Tales, with stories of ghouls and goblins to delight listeners. The only cost is a recommended donation of $5 to $7 based on age. October 24th only, from 2-4 p.m. at the Sweet Fanny Adams theatre at Light #3. The Smoky Mountain Storytellers will have two more October performances. The Spooktacular Follies will take place on October 29 and 30, with free popcorn for costumed audience members. On Halloween there is a special Scary Stories performance, with costumes encouraged and only children over age 12 allowed. This extra-scary story telling session is not for the faint of heart! The little ones will take over Gatlinburg from 1 p.m. to 5 p.m. Halloween day for the Trick or Treat Karnival Kick Off at Ripley’s Aquarium of the Smokies. Costumed characters, contests, games, food, and candy galore await children and adults alike. The Gatlinburg Police and Fire Departments will present information on safe Trick or Treating and fire safety. More than 1,200 children attended last year, so be sure to visit this Halloween extravaganza! 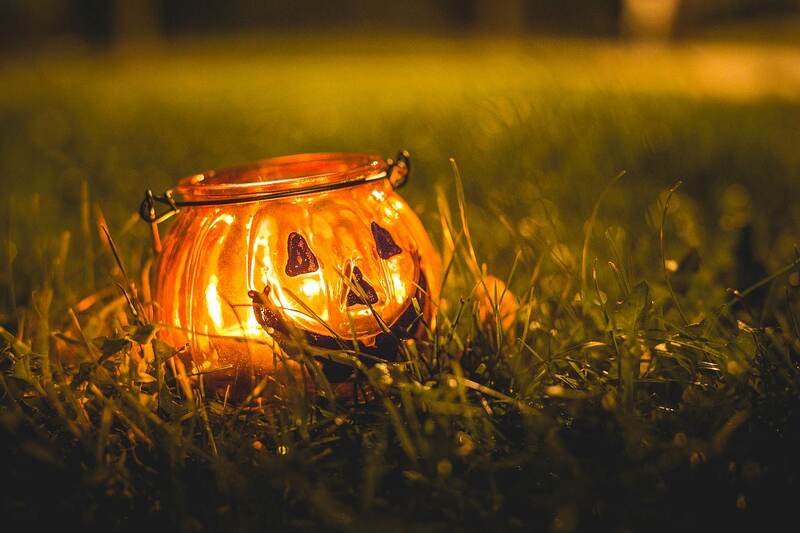 The Gatlinburg Recreation Department is putting on a Halloween Spooktacular at Mills Park from 5-8 p.m. October 29. Families can trick-or-treat in a safe environment along the walking trail. There are sure to be fun games and activities! Gatlinburg doesn’t have all of the fun—there are lots of events in Pigeon Forge and Sevierville as well! Halloween Bash at the Island in Pigeon Forge, October 31, 5:30-9:30 p.m.
There’s no better backdrop than the majestic Smoky Mountains, bathed in a sea of fall colors, for Halloween fun. Whether you’re searching for something frightening or family friendly, the Smoky Mountains has something for everyone. Do you want to live in the midst of this Halloween fun zone? You can view our listings for Gatlinburg, Pigeon Forge, and Sevierville. Whether you’re in the market for a cabin or a distressed home, our agents are marvelous at finding the right home to suit every need and want.